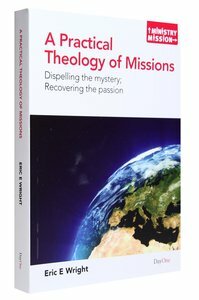 About "A Practical Theology of Missions (Ministry And Mission Series)"
Eric Wright served in Pakistan for sixteen years where he helped to found the Open Theological Seminary. He continues to minister in Ontario, Canada, as a part-time seminary professor and pastor. Evangelical Press has published of his books: Tell the world, Church no spectator sport, The Guide: Revolutionary Forgiveness and Strange fire?.